We like to find and download some sparkly, brand new, free satellite images from the European Copernicus programme! Time to go through this tutorial and get an image: 30 minutes. Short summary: Europe has some brand new satellites in space, and you can get their satellite images for free! Go to https://scihub.copernicus.eu/dhus/#/home, register, and start searching for fresh satellite images over your area! 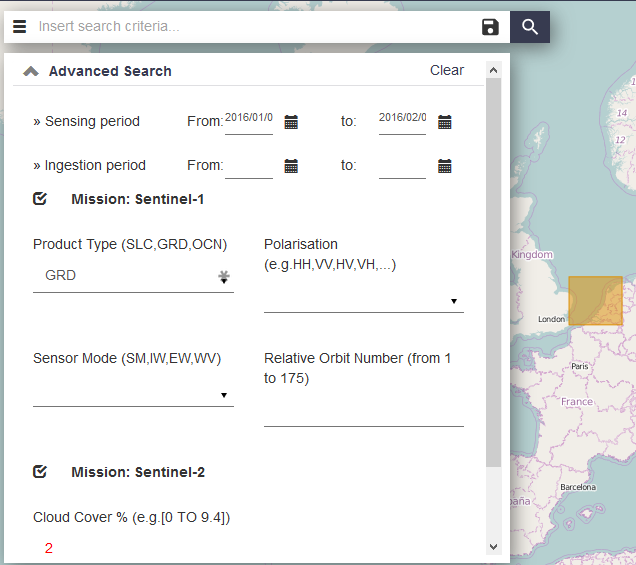 The Sentinel program is an initiative of the European Commission, and has the ambition to create a satellite monitoring framework for environment, safety and security in the EU. For the past years, it led the GMES programme together with the European Space Agency, to research which services and satellites could be useful for a comprehensive monitoring programme. In 2014, the GMES programme turned into Copernicus, which is the operational phase. The Sentinels are the satellites that are being launched as part of this operational phase. So what satellites are we talking about here? In total, five different types of satellites are planned. You can read all about them here. Two satellites have been launched in 2014 and 2015 respectively, and a third one was launched on February 16. The first satellite was launched in 2014, and is called Sentinel-1. It carries a SAR (Synthetic Aperture Radar) sensor, which is used frequently for monitoring of ship traffic, sea ice, oil spills, earthquakes and landslides, and mapping. 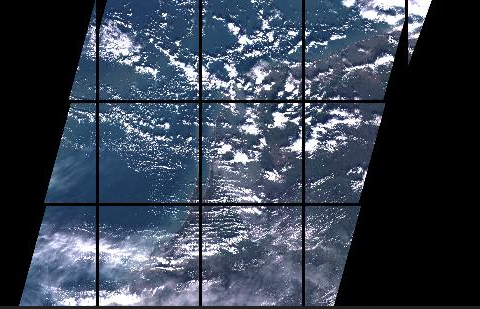 The great asset of any SAR satellite is that it can see through clouds and when it’s dark. Although you can derive some information from a SAR image by looking at it, it’s mostly processed further to extract information from it. Sentinel-2, an optical satellite, was launched in 2015. Because it revisits the same spot on earth every 10 days, it is used to monitor changes in vegetation. As soon as the second Sentinel-2 satellite is launched, an image will be taken every 5 days, and they can be used to monitor agricultural crops and forests. 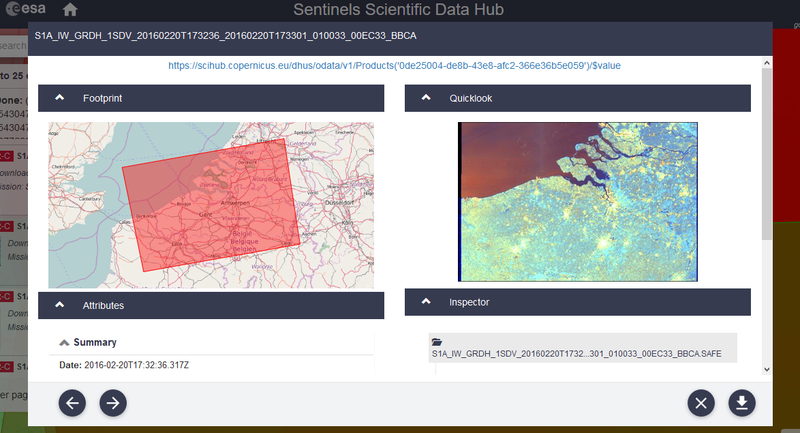 For now, all Sentinel-1 data are available are available through the Scientific Data Hub, with various processing levels. The data are free and open to anyone. 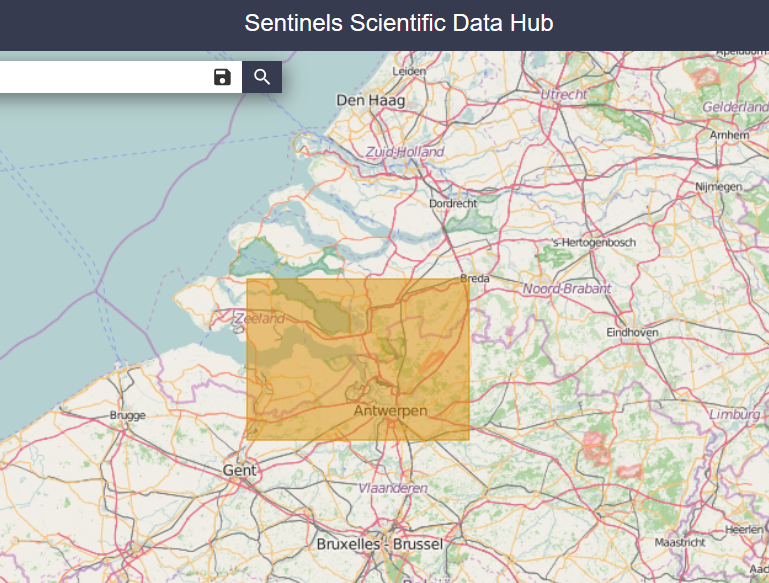 For now, Sentinel-1 images are available within 24 hours after they are taken. 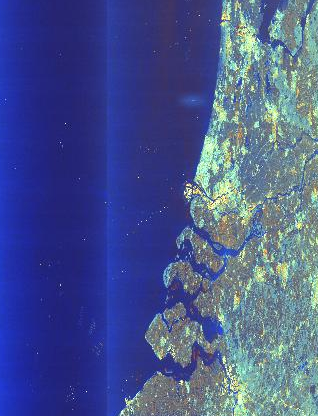 Sentinel-2 is not fully operational yet, but there are some test images available. To start looking at satellite images, and downloading them, sign up first. Click on the Sign Up button in the top right corner. Everyone can register and you get immediate access, no need to wait for approval. For those who have accessed the Scientific Data Hub before, this is a change to the system where you needed to create an ESA Single Sign-in login that had to be approved. Finding images is straightforward. 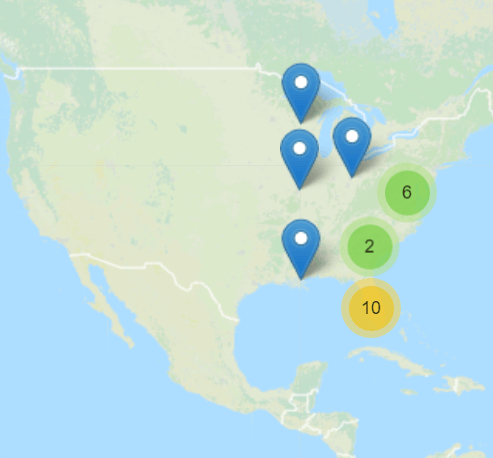 If you click and drag your mouse on the map, it will create a bounding box for your area of interest. You can then define some search criteria in the left upper corner under the Menu icon, like when the image was taken (Sensing Period), when it was put in the archive (Ingestion period), which satellite you prefer. For this exercise, I looked for a Sentinel-1 SAR image, with a GRD Product Type, and a Sentinel-2 image, for the past 2 months. You can always save your search criteria with the Save button. If you’re not familiar with SAR images, select the GRD product type. It has already been processed a bit for easier analysis. When you hover over each item in the list you got back, you’ll see icons in that will allow you to zoom to the image, get more information on it, add it to the cart, or download it immediately. If you’re only interested in one or two images, feel free to download them directly. The Copernicus Datahub has a restriction of two downloads at a time, to make sure everyone can have access. If you have more images you want to download, add them to your cart. When you’re done selecting them, go to your user profile in the top right corner of the page, click on it, and click on Cart. In a next blog post, let’s see how you can get some information out of the images you just downloaded!